← The Super Bowl… STEM… and Using a Computational Search Engine in Education… Add it Up! Quick Notes – You may be interested in learning more about PBL World in Napa, CA presented by BIE this June. It will be exciting and registration is now open. Reed Timmer from the Discovery Channel will be hosting a free STEM Webinar entitled Behind Stormchasing on Monday, February 13 at the Siemens STEM Academy. Learn more, along with discovering 11 great weather education sites, in this STEM blog post. Join us in Indiana as we celebrate digital online learning the whole month. Feel free to visit the 29 Day Web 2.0 Challenge (A new Web 2.o Tool every day) and the start of Indiana’s Digital Learning Stories on YouTube. There are also four free Flipped Classroom Webinars this week hosted by my friend, Libby Lawrie at My Big Campus. I will even join in to give my two cents… or better yet… free advice. They are: Flipped Classrooms Straight Answers on 2/13 (6:30 PM EST) and 2/14 (3:30 PM EST) along with Easy Steps For First Time Flippers on 2/15 (6:30 PM EST) and 2/16 (3:30 PM EST). Now on to the 30 multimedia resources. 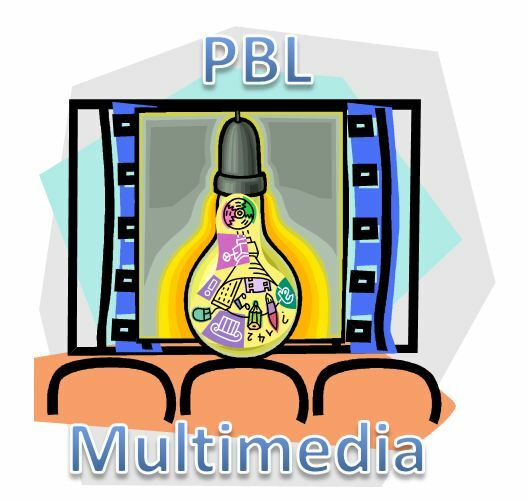 In this PBL Mania Post I explore Online Multimedia Resources. These fantastic mega-sites can provide lessons and formative assessment activities for PBL. The power of project based learning integrated with this type of online technology allows teachers to provide multimedia that can be used individually, in groups, or even at home. The multimedia may be a movie, sound clip, picture, simulation, reading, or game. In PBL, the multimedia may be an entry event, a tutorial, a basis for further discussion and inquiry, or a tool that measures student understanding. It could possibly even be an assignment or activity for students to investigate at home. Best of all, students can even be in control of the speed of delivery and even control their own remediation by repeating sessions. Multimedia can be used to flip the classroom, allowing students to participate and formulate their own inquiry through teacher facilitated posts in content delivery systems such as Edmodo or My Big Campus. Let’s take a look at some of these large mega resource sites. WGBH Teacher Domain – Teachers’ Domain is a free digital media service for educational use from public broadcasting and its partners. You’ll find thousands of media resources, support materials, and tools for classroom lessons, individualized learning programs, and teacher professional learning communities. PBS Teachers – Launched within the last year, PBS Teachers is an awesome place for all kinds of educational multimedia. 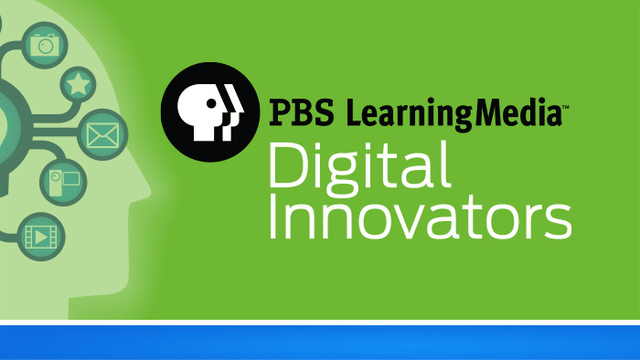 PBS Teachers is PBS’ national web destination for high-quality preK-12 educational resources. Here you’ll find classroom materials suitable for a wide range of subjects and grade levels. They provide thousands of lesson plans, teaching activities, on-demand video assets, and interactive games and simulations. 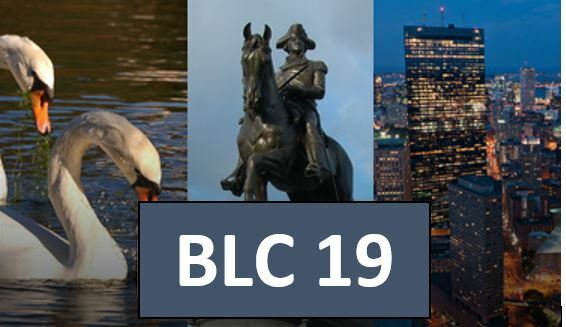 These resources are correlated to state and national educational standards and are tied to PBS’ award-winning on-air and online programming like NOVA, Nature, Cyberchase, Between the Lions and more. Thinfinity – This site is worth an entire write-up in itself and will provide a wealth of activities for PBL products. You will find quick and easy access to the highest quality teaching and learning materials. Verizon Thinkfinity offers comprehensive teaching and learning resources created by some amazing content partners which are the most respected organizations in each academic subject area and literacy. The easy-to-navigate K-12 resources are grade-specific and are aligned with state standards. This truly is an amazing online community where, along with great resources, you can network with friends and other teachers, and share ideas, plans and advice with others in the education community. 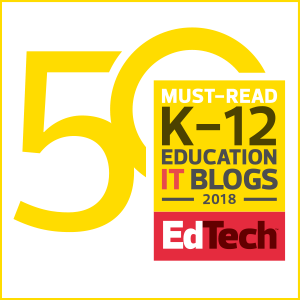 NeoK12 – Take a look and you will find a vast collection of resources and Web 2.o tools that might fit into any lesson. Along with pictures and videos that have been teacher selected, there are also some other amazing features. You can allow your students to create their own mashup presentations using Flickr and Wikipedia. There are quizzes, interactive diagrams, and games that can provide for formative assessment and problem solving. NBC Learn – While this is a pay service, I am providing a link to some of their free material that might just connect to your standards. NBC Learn is staffed by veteran NBC News producers, who have created scores of original stories and Town Hall events around the country, in partnership with the National Science Foundation, the Kellogg Foundation, and others. The free area includes award-winning collections; Chemistry Now, Changing Planet, Science of NFL Football, Science of NHL Hockey, Science of the Winter Olympic Games, and Finishing the Dream. Videos and archival news stories are correlated to state standards and the Common Core.. Videos are generally short — less than six minutes in length — enabling instructors to engage and enlighten their students without wasting precious class time. Discovery Education – This outstanding pay service also has a section that is free, found via this link. Discovery Education offers a broad range of free classroom resources that complement and extend learning beyond the bell. Foster deeper engagement and provide opportunities for students to take charge of their own learning with high quality, engaging, relevant tools designed for today’s busy teachers. Take a moment to explore Discovery’s programs and contests, interactive games, puzzles, lesson plans, videos and more. Smithsonian Channel – From one of the greatest museums comes a network, and this website filled with some amazing clips, games, and activities that might just provide the right spark for some PBL. National Geographic – Find some amazing videos, pictures, segments, and stories that could be used to spark interest or engage inquiry. Whether it be a discussion starter, an informational lesson, or a question raiser, you will find some awesome content at this site. History.com – This is an amazing site that is sure to provide a game, video clip, or article that will engage students. Whether it be a hook to begin a study or some outstanding information to sustain learning, it is definitely worth a look. C-SPAN Video Library – A great collection of both short and longer video clips that allow students to explore the workings of government. Did you know that CSPAN also includes American History TV, Book TV, Campaign 2012, and Washington Journal? Best of all, check out a large number of resources on CSPAN in the Classroom. BBC Learning for Teachers – What an amazing amount of activities and resources, including over 9000 video clips. Enjoy a visit… you might just stay awhile! PicsForLearning – Not everything has to be video. Perhaps you wish to use a still image to facilitate a discussion and promote inquiry. iTunes Education Podcasts – Countless numbers of videos and series’ that cover every educational topic imaginable. Pulse of the Planet – Each weekday, the Pulse of the Planet radio series provides its listeners with a two-minute sound portrait of Planet Earth, tracking the rhythms of nature, culture and science worldwide, blending interviews with extraordinary natural sound. Center for Civics Education – Make sure you discover these amazing podcasts, slideshows, and videos. Not to be missed is the 60 second civic education podcast series. Newton’s Apple– Discover the fascinating science of the world around us through over 300 video clips. Browse the categories, or enter a question or a keyword in the search box. There are a number of videos with resource guides included. American Field Guide – Over 1400 short video covering all areas of science. Exploratorium TV – Browse hundreds of webcasts, video clips, podcasts, and slideshows from the Exploratorium’s collection of original programming, from remote scientific expeditions to fun hands-on activities. Chemistry Video Collection – Excellent selection of videos that relate to chemistry. Contains experiments and many simulations that might not be able to be demonstrated in a standard school lab. Science Hack – Every video on this web site is screened by scientists to ensure accuracy. Math Interactive– MathActive lessons are Flash-animated math modules designed for grades K-12. Each module features content that touches a geometry performance objective from the Arizona Academic Standards for mathematics. Sports Science – Awesome collection of short videos that will engage kids in science and math from the people at ESPN. Science Videos – A selection of engaging videos and podcasts from the creators at the New York Times. Copernicus Project – Selection of short biology resources and videos. How Stuff Works Science – Excellent collection of videos that cover interesting and engaging topics across the science curriculum. Ted Talk – What an amazing place to begin some deep and meaningful conversations and thought. In fact, there are some amazing videos if you are working on the skill of collaboration. Or check out the hundreds of other categories. Science For Kids – Cool place for videos and activities. But wait… while you are there check out Kids Math Games and Fun English Games. You will find a gold mine of resources that can be put into a unit to help your students master content in a project. What was the title of #3 in your PBL Mania series? I must have missed it. One of the very few iPad educational apps for more than 1 person. Thank you so much for putting this list together and sharing it! I had such fun browsing through all the resources and was able to draw on many of them for preparing my student teachers. Again, I really appreciate the work that went into this. Is there an attribution that I can put into my syllabus to give your proper credit? I’m a newbie to your site — love it! I have hours and hours ahead of me, exploring your recommended sites about 21st Century learning. I teach at a small rural school in northern Minnesota, and am especially interested in finding what works for schools on limited budgets but unlimited creativity. Any thoughts come to mind as to what Web 2.0 applications I should try first in my English 9 & 10 classroom? Amazing list of online multimedia resources. May I simply say what a comfort to discover someone who genuinely knows what they’re talking about online. You actually realize how to bring an issue to light and make it important. More people must read this and understand this side of your story. It’s surprising you aren’t more popular because you most certainly have the gift. You’re so awesome! I do not think I’ve truly read through anything like that before. So wonderful to find someone with genuine thoughts on this subject. Really.. thank you for starting this up. This website is something that is needed on the web, someone with a little originality! this is much better than just a top 10 list. everyone has a top 10. things start to change after the Top 15. I like what you have come up with. Aw, this was a really good post. Taking the time and actual effort to create a great article… but what can I say… I hesitate a whole lot and don’t seem to get anything done. Thanks for the visit… please return. Thank you a great list of resources I can share with my teachers.